Herbal medicine, sometimes referred to as botanical medicine, is a branch of holistic medicine involving the use of various parts of a plant for medicinal purposes. It is a form of treatment that dates back thousands of years. 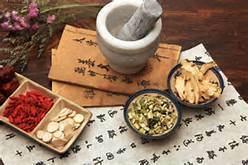 One of the more extensively accepted and offered form in both human and veterinary health care is TCM, also known as Traditional Chinese Medicine . Herbal medicine is growing in popularity due to increasing costs and side effects associated with many prescription medications. In addition, modern clinical research is showing the value of herbal medicines in the treatment and prevention of many diseases and conditions. In fact, an estimated 40% of our modern medications is derived from plants or synthesized plant compounds. Herbs can be used to treat numerous conditions, ranging from arthritis, endocrine disorders and other chronic conditions to diarrhea, skin conditions, heart disease, and liver conditions among others. 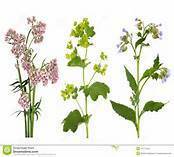 While some herbs can be used as a single agent, many herbs are prescribed in formulas, and are often more effective when used in combination, as well as in conjunction with other treatment modalities. Strict standards set in the manufacturing of herbs ensures that most herbs available in the US come from reputable sources and are free of impurities and toxins.